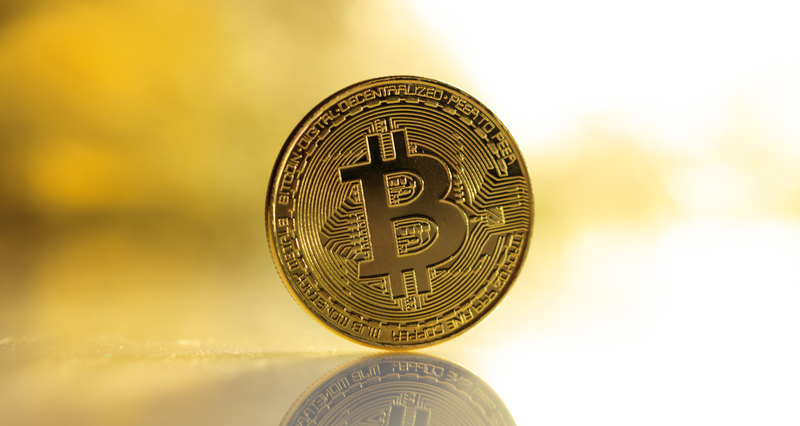 Signs are beginning to emerge that bitcoin’s sell-off today may be overextended. After hitting a 70-day low of $6,133 on CoinDesk’s Bitcoin Price Index (BPI), bitcoin’s relative strength index (RSI) hit a level (26.4) last seen in August of 2016, according to data from the Bitfinex exchange. 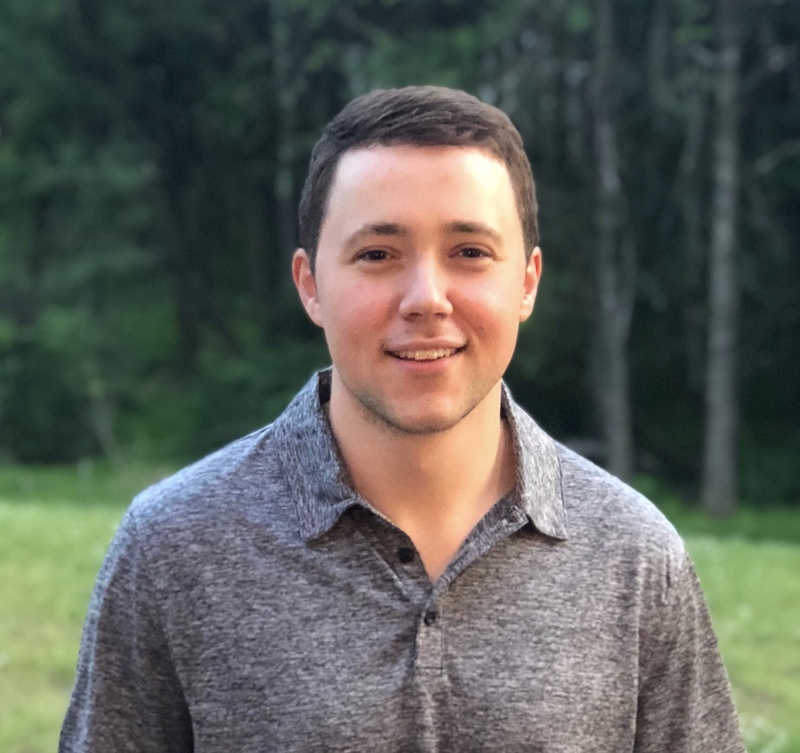 When such levels are hit, the indicator suggests price action is approaching a level below the asset’s true value, where a price bounce tends to occur. 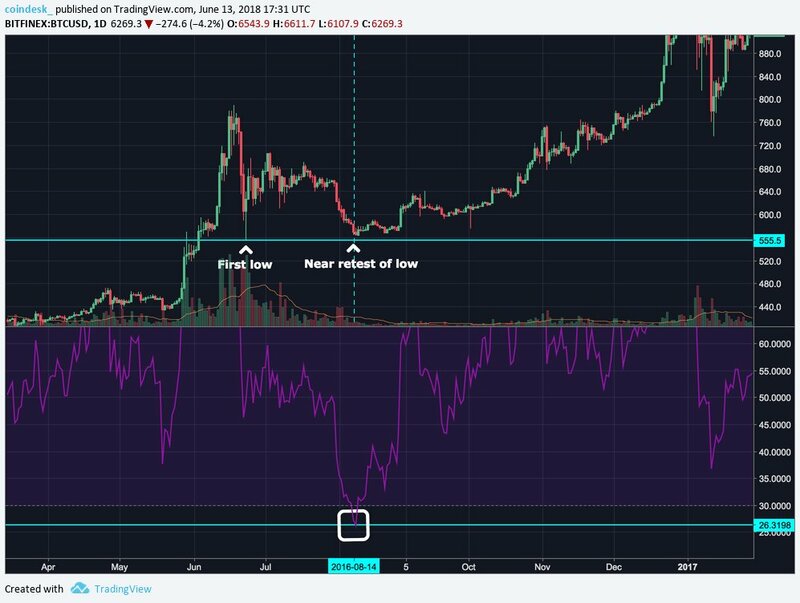 BTC/USD rarely hits oversold levels (<30) in the daily time frame, but when it does, price has historically performed well for the bulls. 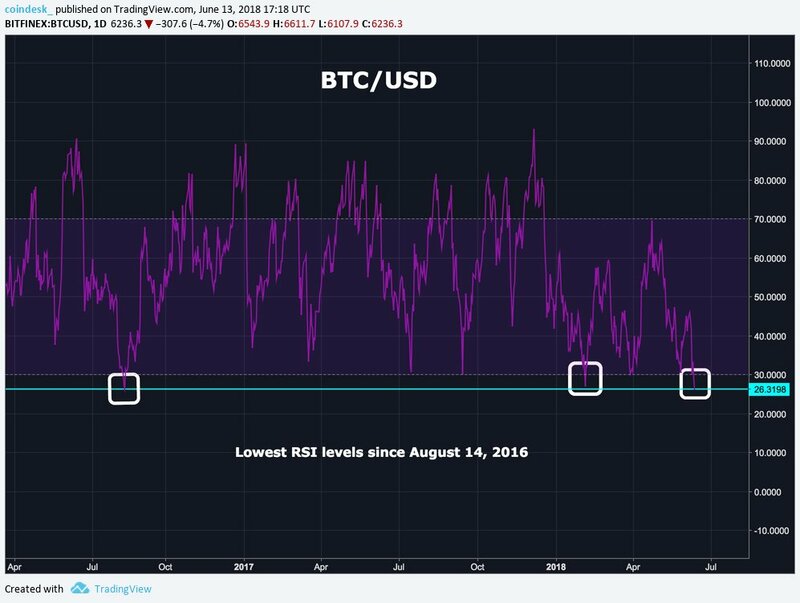 February 6th was the last time RSI levels were below 30, and at that time, prices rallied from $6,000 to $11,788 in just two weeks, resulting in a ~96 percent gain. Prior to that, on August 14th, 2016, BTC registered an RSI level just above 26 when the price showed $563 on Bitfinex. Even through today, the price of bitcoin has not gone below $563 and current levels represent a ~980% price increase. But while the oversold indicators tend to signal downtrend exhaustion, bulls might want to still proceed with caution before celebrating as bitcoin’s daily RSI has reached lower levels. According to Bitfinex data, the lowest level recorded since 2013 was 16.1 on August 18th, 2015.